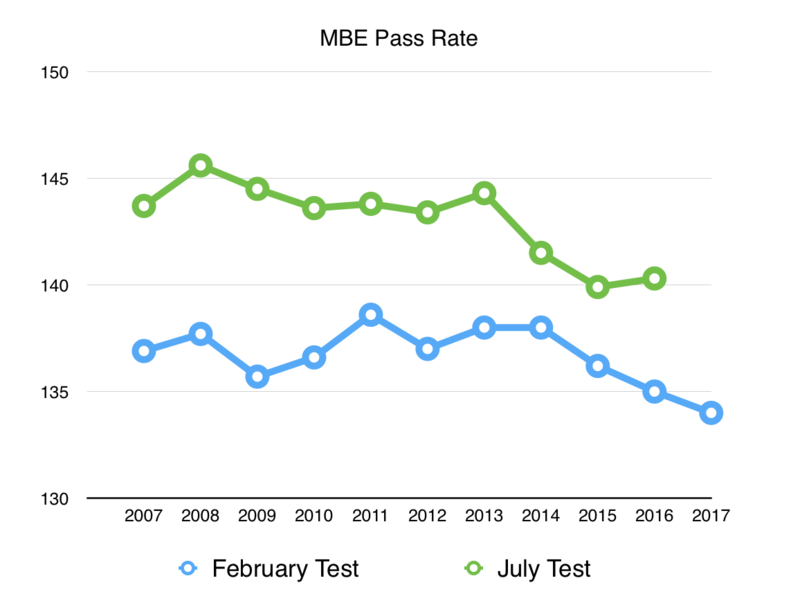 The February bar exam traditionally results in fewer lawyer candidates passing than its July counterpart; however, in recent years the results have fallen to unprecedented levels. 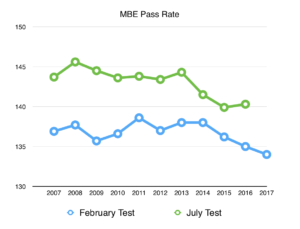 Last week, the American Bar Association Journal reported that the February 2017 multistate bar exam results were the lowest since the test was first given in 1972. The average score was 134.1, down from last February’s average score of 135, which was at the time the lowest rate since 1983.